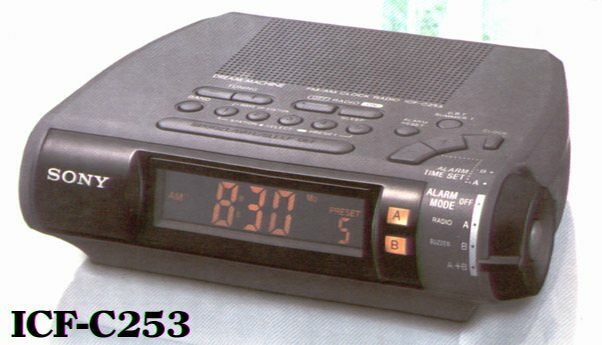 This clock radio has a date function with years ranging from 2000 to 2049. 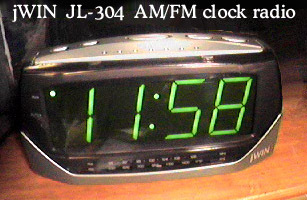 A pretty good digital clock/ analog tuned AM/FM radio. Can be set for 110V @ 60Hz or 220V @ 50Hz. Roberts Colourstream FM and digital audio broadcast (which the USA doesn't have) receiver and ethernet/wifi Internet radio station streamer. Here in New Jersey, USA, it's streaming 4KQ Brisbane, QLD, Australia. Back says 230V@50Hz, though it's happy with American 240V@60Hz. Above right is an Australian style American outlet made by Hubbell in the late 40's, here, in my house, providing 240V 60Hz (American power companies usually provide homes with 240V center-tapped grounded, AKA a pair of 120V powerlines).